FORT WORTH, TEXAS (Sept. 22, 2017) — The Greater Fort Worth Chapter of the Public Relations Society of America (PRSA GFW) has named Paul Paine as its 2017 Communicator of the Year. GFW PRSA’s Communicator of the Year is annually awarded to one community member who has demonstrated leadership and communications ability while involved with an issue or event of significance to the greater Fort Worth region. Paine, president of Near Southside, Inc. and former Navy captain, will receive the 2017 Communicator of the Year Award at the sixth annual Worthy Awards gala on Wednesday, November 8, at the Fort Worth Club. 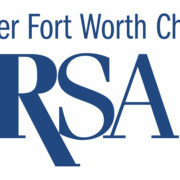 Established by GFW PRSA in 2012, the Worthy Awards showcase exemplary programs and tactics created by public relations professionals in the greater Fort Worth region. A committee comprised of GFW PRSA board members selected Paine as Communicator of the Year because he has clearly demonstrated the effectiveness of collaborative leadership and communications skills to build a vibrant and culturally-rich community in Fort Worth. Since 2005, Paine has served as the president of Near Southside, Inc., a private, member-funded, 501 (c)(4) nonprofit organization working to revitalize the Near Southside. 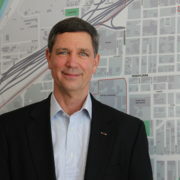 Paine also provides his skills and knowledge to area nonprofits, serving as chairman of the Texas Military Preparedness Commission, and as a board member of the Fort Worth Convention & Visitors Bureau and Ronald McDonald House of Fort Worth. Paine served the U.S. Navy for 26 years, where he commanded a F-14 Tomcat Squadron, spent three years in the Pentagon, and was the commanding officer at the Naval Air Station Fort Worth Joint Reserve Base. In addition to honoring Paul Paine as Communicator of the Year, GFW PRSA will present more than 60 awards to area public relations and communications professionals for exceptional work in the field of public relations and strategic communications during the Worthy Awards gala. The evening begins with a cocktail reception at 6:30 p.m., dinner at 7 p.m., and awards presentation at 7:30 p.m., with improv comedy troupe Four Day Weekend serving as masters of ceremonies. Individual tickets are $85 for members, $100 for non-members, and $50 for students. Sponsorships and advertising opportunities are available starting at $100 to $1,500, and details are online at www.WorthyAwards.com. The 2017 PRSA nominating committee is pleased to present the slate of officers for 2018. Members will be asked to vote on the slate at the October luncheon. Please plan to attend and cast your vote! Based on current membership we are not eligible for 3 delegates- Michelle Clark’s director position will double as a third delegate should we reach the membership threshold during her director term.